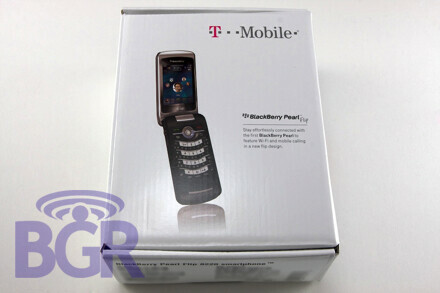 Though several pictures had appeared on the internet prior to today, the Boy Genius Report has scored some nice unboxing shots of the BlackBerry Pearl Flip 8220. Though they were relatively impressed with the overall device, they claim that both the internal and external screens could use improvement. The verdict: Not necessarily for the business person, but a decent consumer BlackBerry. Why do you hate Blackberry? You are sick in the head if you hate blackberry dude you def. don't know what you are missing out on! BGR must be really biased 2wards his iPhone? Thus far - every other other review(er) on the Internet, except his, is giving the BlackBerry Flip outstanding scores! Spoke this morning with my local rep with T-Mobile, since he has had an actual working unit 4 the past several days and has been using it, and he prefers it over the 8120 - says the screen is a li'l brighter/bigger and better, will actually edit MS Word and Excel docs, has the newer OS, and likes how the keys are better positioned for typing. Still, however, didn't have a release date on it. Wish I knew that!!! why hate this phone? i think it is a great innovation with blackberry, and it's cute. I have an iphone, but I love RIM as well. I think this will be a great phone. Granted it is with t-mobile lol but I won't comment on that. I had the phone in my hands on Friday the Blackberry Field Rep brought it to the store it is a very nice phone. 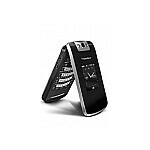 I thouhgt it was ugly when I seen pictures on the internet but when I had it in my hands it was a AWESOME PHONE! I really like the way it looks its not bulky has tons of applications and its amazing how many different ways you can make the phone look from the outside I recommend this phone its very very nice when you see it in person TRUST ME YOU"LL LIKE IT! I don't have a blackberry but i will consider this one.